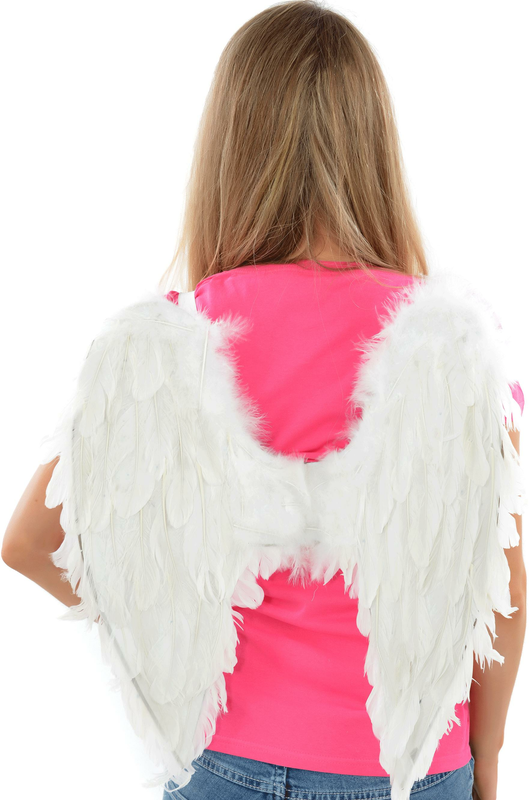 Fly around the party with these amazing White Feather Fancy Dress Fairy/Angel Wings. They're perfect for hen parties, Halloween, fancy dress and birthdays. Will you be a saint or sinner...? This exquisite accessory has 50cm x 50cm white feathered wings and elasticated arm straps to give you complete comfort. Why not add a White halo and Personalised hen Party Angel T-Shirt to complete the ensemble?